The Russian military plans to introduce a up-to-date analogue of the most powerful ballistic missile of all time - the RS-20, or SS-18 Satan by NATO classification. 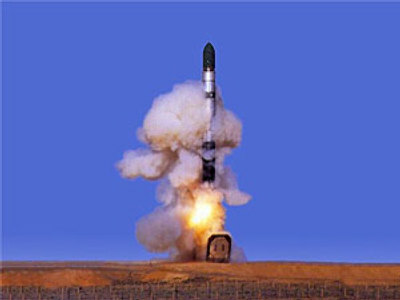 On June 10, the commander of Russia’s Strategic Missile Forces, General-Colonel Nikolay Solovtsov, told journalists that Russia is again interested in the kind of heavy ballistic missiles that once formed the basis of national nuclear arms forces. The announcement came as both Russia and the US were striving to find convincing arguments for talks on further reductions in strategic nuclear forces, scheduled for later this year. The RS-20 (SS-18 Satan) remains the ultimate ballistic missile. There is no anti-missile defense system to counter it. It can carry 10 warheads (550 kiloton each) a distance of more than 11,000 kilometers. it can sidewind up to 90 km/h and can function even under nuclear assault. Only a powerful direct hit could destroy any of its warheads. But a counter-missile capable of intercepting the RS-20 , once the warheads have been fired, has yet to be produced. Its reliability has been confirmed by dozens of successful launches, including those of satellites into orbit. It is no wonder then that that US had a special policy back in 1990s of destroying as many RS-20s as possible. In 1990 the Soviet Union had more than 3,000 warheads on SS-20 missiles. But under the terms of the START-1 (1991) and START-2 (1993) nuclear arms reduction treaties between Russia and the US, this class of missile was significantly reduced. 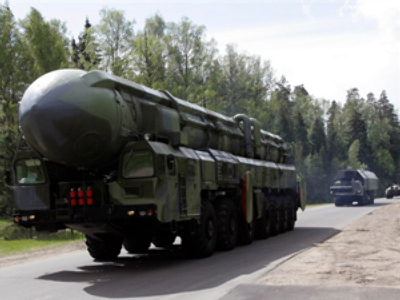 Currently there are 680 warheads in just two nuclear ballistic missile formations in Siberia. It is no secret that in recent years Russia has been spending a great deal developing the seaborne nuclear missile, Bulava, and the ground-launched ballistic missiles, Topol and Topol-M. However, details on the development of a new heavy long-range ballistic missile have been sporadic and vague, probably because such information remained strictly confidential. The reason for making such plans public now is probably linked to next month’s meeting between Presidents Obama and Medvedev in Russia, where the question of nuclear arms reduction will be on the table. When considering its possible future wars, the US military command does not factor in strategic nuclear arms. So, the American administration is proposing a radical cut in the number of nuclear warheads, limiting them to 1,000 on each side. national security, though he admits that it is “up to the leadership of the country to make decisions on the issue”. In the wake of US President Barack Obama’s apparent back-pedaling on pre-election promises to re-consider the deployment of anti-ballistic missile systems in Eastern Europe, the Russian leadership feels free to take retaliatory steps. The working life of still-operational SS-20 missiles has just been prolonged to 30 years, which means they will remain on standby until 2016-2020, when they can be replaced with modern versions. 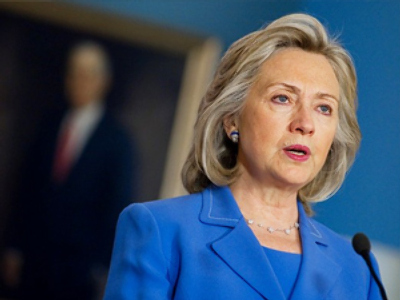 The Strategic Arms Reduction Treaty between Russia and the US expires on December 5, 2009. So, should current efforts to make a new deal on nuclear arms fail, both parties will be free after that date to produce as many warheads as they consider necessary.